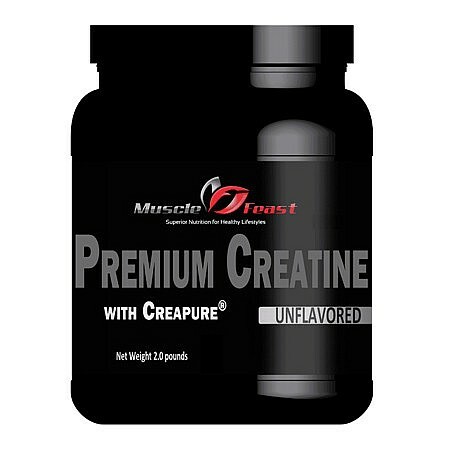 Creapure® is a micronized creatine monohydrate. The product is a trademark product, manufactured under the highest quality standards by AlzChem Trostberg GmbH; a German Manufacturing Company. The main benefit of Creapure® is in the levels of creatinine. The upper limit for creatinine in Creapure® is 67ppm. This compares to an upper limit of 300ppm for the Muscle Feast Product “micronized creatine monohydrate.” However, for reference, the actual CofA reflect 49ppm and 76ppm; so be assured that both forms of micronized creatine monohydrate are the highest forms available.